Say goodbye to painful muscles and joints. 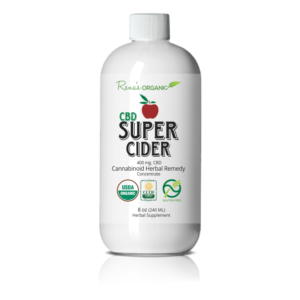 Supercharge your CBD Super Cider benefits with 1,000 MG CBD Pain Relief Cream. YES! I want to live pain-free! CBD Super Cider and 1000 MG CBD Pain Erasing Cream are not sold in any store worldwide. Supplies are severely limited. Please act now, take advantage of these great savings, so you don’t miss out! Our CBD is the highest quality available, organically harvested in the great state of Colorado, always 3rd party tested for purity. YES! I want to be a Rena's Organic VIP Member and get massive savings on future orders. Please send me VIP coupons monthly. When you check the “Join and Save” box, you are agreeing to receive discount coupons by email each month. We have NO reoccurring billing. You will only be charged for products YOU DECIDE to buy, and order, in the future. To receive exclusive VIP coupons and savings, after using your first time buyer discount, enter your best e-mail at checkout today. At Rena’s Organic®, we strive to make sure that our products are the absolute best quality. 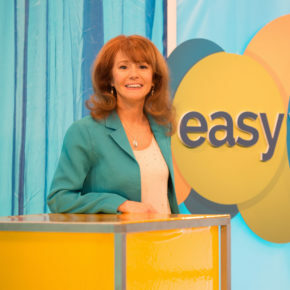 We want you to be completely satisfied and very happy. That’s why I’m delighted to give you a full 30 days to try our products. This gives you time to make sure that you are getting the wonderful results you desire. Use the products for one full month. If you are not completely happy with your results, simply return them for a 100% refund (less shipping). Most people order 3 bottles to start with. This way you can take full advantage of the incredible savings, especially when you join our VIP Membership Club. 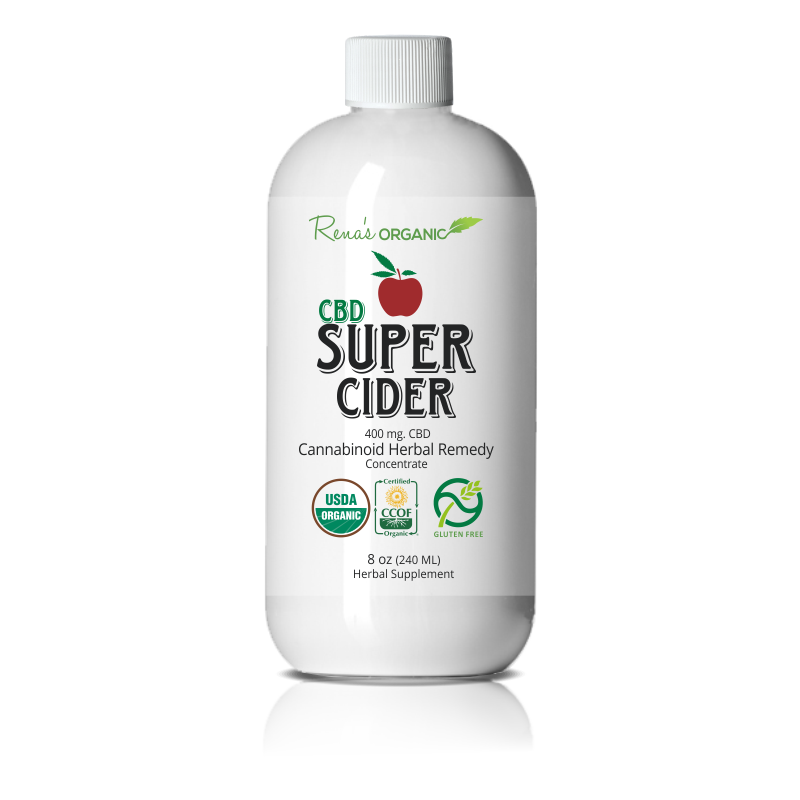 CBD Super Cider is one of our best sellers and a lot of our customers go ahead and order the 6-bottle package to share with friends and family. For a limited time, you can get a free bottle of 300 MG CBD Tincture – $54.95 Value, when you order 6 bottles.